Blog > Humor > 10 Photos Only Knitters Would Understand! From a messy stash to the satisfying feeling of using scraps: There are some things that unite us knitters more than anything else! We found 10 images that you will immediately understand if you’re as obsessed with knitting as we are. We know this one is unrealistically organized, but sometimes you look up from your knitting and realize you might have a problem, or as we at LoveKnitting like to call it, a huge opportunity! Why not take a look at our huge pattern offer and choose your next project! Sweaters, hats, scarves, mittens, socks, cardigans – everything in your wardrobe is knitted (or crocheted) and you’re very proud of it! You might even catch yourself saying “Oh, this old thing? Why yes I did make it myself!” during conversations. Others do push-ups, you knit! We’re voting ‘yes’, but we might be a little biased! …so you make it over and over again. But that’s alright – you can make it fast and give it away to friends and family to spread the joy. Maybe someone close to you needs another hat, pair of socks or scarf? We’re sure they’ll love them. Let’s just… quickly move on? You could go out. Or you could stay home and finish one of your WIPs. Pick up your needles and put on your favorite feel-good movie! We promise, Knitflix is the next big thing! Have you read the washing instructions? Okay, so we’re only half kidding with this. This is an adorable pattern by Stash Enhancement, but sometimes creating something small is rather unintentional! We’ve all been there, but we can learn from it and read the yarn care instructions more thoroughly – maybe! This pattern by Christiane Burkhard shows how perfectly satisfying it can be to use all your leftover yarn to create a beautiful new project! Blankets are only one of the many things scraps are perfect for! Sometimes wallhangings and posters aren’t enough to express the love for knitting! Which situation looks more than familiar to you? Share your favorite in the comments below! Last updated: February 22nd, 2018. 119 Responses to 10 Photos Only Knitters Would Understand! Ok, when did you get in my house to take pictures 😁. Whoever it was, they’ve been to my house too! Knitting, coffee, comfy chair is all I need. I love to knit. Stay home and knit makes me happy!!!! Yes…. me too…. but the body sometimes complains and I have to waste time doing some walking or other, more boring, exercise. I agree, but I have to get up and move around at least once per hour (do some chores?) or I can hardly move when I do get up. Eeek! The only time I want to leave the house is to go buy more yarn. Why leave the house for yarn when there’s the internet and they will bring it to your door?! I hardly do that anymore! 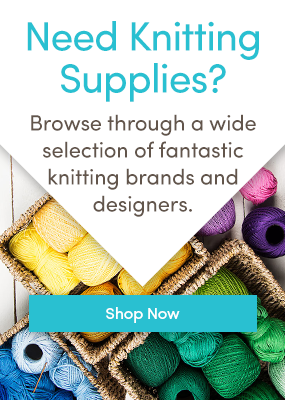 Ordering online means more time to knit!! Real wool shops are like good counselling… soothing, challenging, stimulating and reassuring…the smell, the feel, the colours..and usually a real live person there who understands! Unless you don’t have access to any nearby. Give me a comfy chair an audio book and my knitting. Joyce..an audio book is a great idea. I’ll look up some podcasts, too. Genealogy is my other hobby so guess I am now officially housebound. My hubby is really ill and only gets out to go to doctors. So the Let’s Stay Home fits me to a T. I have knit and crocheted 4 or 5 sweaters, 3 or 4 blankets, 5 shawls, 2 or 3 scarves, some hats, and I don’t remember what else in the year. I knit everywhere I go too. The question I get everywhere is what are you making now Linda. I love yarn. I have found a great yarn shop here in Ft. Worth, Tx. West 7th Wool. Love that place. I love saying to people ‘I knit in the car’. They often retort ‘You knit while you’re driving? !’ ‘No, I knit while my husband is driving’. Never fails. I’ve just had a lovely weekend journey knitting whilst in the car. Fortunately daughter was driving! Helps the journey go so much quicker. I confess. I once knit while driving. Was a straight road and I can knit without looking at it. I have always had knitting on the passenger seat for red lights. I always knit in the car. Journeys spent just looking out of the passenger window are such a waste of time! Have some knitting which is not too difficult and then you can knit and look at the scenery at the same time! My Fitbit somehow clocks up steps while I’m sitting knitting so knitting must be a form of exercise. Well I think so!!! I couldn’t stand that tangled box! 😀 I roll into loose little balls that I might use one day! Would love a stash store cupboard. Just what I was thinking. I save every little ball, for someday I will need it. What a great idea! I shall do that! I found a great way to store my odd balls of wool – Ikea do plastic bags that reseal in different sizes so I now no longer have that tangled up box!!! Crochet the cords in a long ‘zig-zag snake’ to make a blanket. Won’t that be warm on the icy weather that is coming this week? I use small balls to make half a square diagonally to make blankets for dogs, maybe cats too. The bits that are too short I use either as waste yarn for casting on “invisible”casting on. Smaller still bits I use as markers.i.e. ends of patterns to repeat as in aran patterns, and when needing to work a number of rows from a given point. I would love to get my hands on that box of tangles and sort it out! Then knit It all up into something beautiful. I am knitting as I read this!!! I highly recommend doing what I did a few weeks ago – putting all those odds and ends I’ve been squirelling away for years, just in case, into one big bag and donating it to a group of women in a nearby (French) village who meet up once a week to knit up bits and bobs into blankets etc to send to Madagascar. It’s made me feel good on several levels, not only because I no longer feel guilty about not using it. The only trouble is I’ve started to collect more already! Apart from everything else that I have knitted, I knitted a single bed blanket each for both my grandsons when they were ready to go into a “big” bed. I wish I had a room with shelves like above to be able to store all my wool. If I feel in a low mood, just looking at wool gives me an adrenalin rush!!!! I’m always knitting, either for family, friends, charity etc. Just finished twiddle mitts for two dementia charities and two boxes of hats for newborn +premature babies. Never seem to knit much for myself though!! Staying home to knit and sip coffee! My favorite spot to knit is my screened in porch with the birds singing and my dogs cuddled up close to me! What do people who don’t knit do with their hands while watching TV? I have 21 alpacas so I’m always either knitting or spinning. I would kill to have alpacas! May I ask where you live. I will move there. To care for the sweet babies and knit of course. You’ve made me soooo happy! Like Nicola I am very bad at finishing one project before I start another, just can’t resist. The wool shop is the place I go when the world feels a bit scary. I always feel nothing bad can happen in a yarn shop and the world is as it should be. Lesley, beautiful name BTW, you just put into words that special little feeling I get every single time I go into a knit shop. Thank you. It’s so true!! the messy basket brought back some wonderful memories, my gran was a wonderful person and a wonderful knitter but her stash was just like the messy basket, she taught me patience by handing me her basket every now and again and my job was to sort it out without cutting any threads, I might add that this was wartime and NOTHING was ever thrown away. I sorted her basket right up until she stopped knitting, when she was 80, sad day for us all. this picture brought tears to my eyes as memories flooded back, great. My favorite saying is…Yarn is chocolate for the fingers! Oh the colors, I just love to see the combination n colors, knitted or unknotted they are a sight. When I first started working in the 1970’s, I would walk at lunch, down past Phoenix Dye Works and wow stop and marvel at. All the colors of yarn spinning on their machines. Thanks for the memory ! None of us are alone and we’re not crazy!!! This is a real fever, this knitting bug. Once you catch the fever, it never leaves you. And I’m glad! Story of my life! I’m the one with the box you’re afraid to open. And the out of control stash, but I think that’s every knitter. I’m just lucky enough to have a boyfriend who isn’t even remotely bothered by my obsession with knitting and other needle arts. I have to agree with Granny and Karen, I have to keep moving too! but I guess it does leave more time to knit and do other crafty things! A picture says more than thousand words!!!!! Thought I was alone being obsessed by yarn and knitting. Finally after over 50 years of feeling “odd” I see I am not alone!!!!!!! No way, you’re NOT alone!! Somehow my knitting just calms my soul when the anxieties of life start to come on. I just pick up the needles and then things get better. Me too! I love to knit and read. Knit when husband wants to talk and watching TV! Just can’t sit and do nothing! My mother taught me to knit back in 40’s-50’s, so left the love of knitting and music! I bought a 5’x5′ set of “cubies” from Ikea to set up in my sewing room just to organize my multiple boxes, bags, baskets, and drawers full of yarns that I have. Seeing your picture made me smile as that IS the image I’m seeking. Thanks! Love reading the comments! Sometimes knitting brings too much solitude but they make me feel like part of a large happy community. Put on some music, put my my feet, up, grab my needles and I am in heaven! I may only be good at knitting things that are square or rectangular (which my children find hysterical), but it’s the joy that comes from a finished project and the excitement of starting a new one that makes it all worth while. And everyone else to be honest ! My stash is woefully out of control, I too invested in large plastic boxes to short out yarn by weight. I started knitting in high school then life got in the way and I didn’t pick up knotting again til about 12 yrs ago. This last year has been challenging as my hubby was diag. With Alzheimer’s Dx. Knitting has been my salvation and my Grand children and family love that I’m always making them something to wear. Blessings to all you knitters. Blessings to you too, Shirley from Ma. I’m sure you’re a wonderful grandmother! Whenever we travel my fave side-trip is a visit to a LKS to check out locally spun and dyed yarn to buy as souvenirs of my trip (sometimes patterns as well). I label these so as not to forget where they came from, put them in my beautiful Brent Rourke handcrafted wooden knitter’s box, and place them where they can be viewed and admired!! Try a trip to the Canadian Maritimes for both the boxes (NB), yarn (NS), and mills (PEI). Or if you are in Winnipeg, Manitoba, Canada head to Wolseley Wool shop for a great selection of local creations and inspiration!! Yep, each picture brought back fond memories knitting with my Mom! We knit enough socks and mittens to outfit an army! How I dreamed of skeins in bright colours as we had three shades of grey on cones from a mail-order place in Quebec! . One of my Moms friends let us add some to her order. Our coloured yarn was from sweaters given us and we tore them out and repurposed the yarn as identifying purposes to be sure the right child got their own socks back on wash day! Great memories, thanks, and yes, I’m still knitting away happily, lo! these 57 years later. We were a family of 12 kids growing up and now I knit for the nieces and great nieces families. LOTS of family! — all one project at a time. I’m glad I’m not alone in buying yarn because it looks nice, and buying umpteen project kits before I’ve finished the last one. I generally start in June with the Christmas presents, usually have a mad panic in November to finish them in time, throwing all spare yarn into a wicker stash basket. Jan – June I knit new and more challenging projects. Absolutely adore knitting. I only restarted about 3 years ago after a long layoff – boy did I miss it – but already my stash pile is massive. No time to chat, gotta go and knit. Happy knitting!! I couldn’t live without my knitting/crochet, I could do with a spare room just for storing all my wool I keep buying. Love all the comments. I have a problem with patterns. I print off the free patterns from a couple different knitting sites I am on and put them in binders but the binders are full and I haven’t even tried knitting most the patterns! I keep printing off more! Knitting is my passion when watching TV, driving long distances, etc. I think it helps keep me balanced. Love all the comments on here. Thanks for sharing. I love knitting but oh how I hate sewing up and sewing in the ends! Me too! I’m trying the different ways of sewing in as I go…but I think it works best in my crochet work. The ends seem to work in very easily and without bulk. I wish I could do that in my knitting. Still learning! Love your pictures! You took them in my house – actually just the messy box one. I am temporarily banned from knitting – carpal tunnel surgery in both hands. No knitting feels worse than my wrists! Oh commiserations! I think I’ve started to develop it and am trying to do hand and wrist exercises to keep it at bay as long as possible, but I fear surgery might well be on the horizon. Oh so love the knitflix! I knew it! That’s what I am doing. Putting on Death in Paradise in the background, while knitting away Is the best feeling! I love knitting when my little ones go to bed. It calms my mind! I have at least 10 projects lined up at any given time!!! I also want that pattern for the teddy bears in the picture so I can make them for charity!! I can certainly identify with the stash taking over the house. However, I am a spinner as well as a shepherd, so my stash includes huge quantities of wool waiting to be spun. Even thought I knit when I can and spin if I can squeeze out the time, my stash of yarn, both handspun and purchased, and waiting wool far exceed the available space, including space in the barn! I, too am a compulsive yarn buyer! Always working on two or three projects. I finally decided to use a data base to organize all the totes stashed in the spare bedroom/yarn store (that’s what my husband calls it). It helps. Best way to relax and forget the daily problems…nice music and a knitting project. Yes, I agree! It’s the BEST. It’s a lost art but I am honored to know how to knit and I’ve taught all my children how to knit. Maybe the remnant of us can keep the craft alive as we continue to pass it down…maybe they will pass it down as well! It’s cute how your husband calls your spare room the yarn store. I always wanted to inherit my knitting teacher’s “stash” because it was an entire HOUSE full!! She also owned the knitting store in town. Humph! I have a great stash too my son reckons the wool shop need some of it 😁. I also have 6 cardis/jumpers on the go for my little granddaughter and also dislike sewing up but have to get on to it now as i am going up to New Plymouth NZ from christchurch NZ to visit them in a month and want to take them with me. Knitting is very calming to me. If I have any tid bit yah scraps such as snipping cast on lead yarn or snipped cast off ends, I tie them all together…. Not bothering with color coordination… Roll it into on large yarn ball… My grand kids used to throw it inside the house. Mine was a bit smaller than a soccer ball . When I have too many balls I choose whatever size needle I want and have knit very interesting scarves. I have also used large needles and knit a loose vest. These Hobo like finished products always get the most complimentary praises and look gorgeous, knots and all. Try it , you might like it. There is no such thing as too much yarn! Wow!!!! I could stare at the wool walls all day, with a little envy I must admit, my stash is in boxes, baskets and bags stuffed into any cupboard I can find some room in. It also goes with out saying that I have LOTS of the iconic “pink” bags here, there and everywhere. Although I would love to have my wool organized like the first 2 pictures, there are some benefits to my system. When I am on my hands and kness for the umpteenth time looking for that 1 ball I need to finish my project, I more often than not come across a ball/balls I had forgotten about and it is like buying the wool all over again. Nothing says possibility like a new ball of wool! Love all these pictures as I’m crazy about knitting and crocheting! My favourite is the teddy bear picture as I quite understand how you would want to make many of the same pattern that you love. Is this teddy bear one of your patterns? Can I get the pattern? That’s me. I fit them all although I don’t have quite as much wool as hat lol. Ok, what where you doing in my wardrobe. I see people creating these tiny homes/building off the grid, and I think I would need another tiny home, just for my yarn, needles & patterns! My husband jokes about retiring & traveling in an RV, pulling a trailer full of yarn, which is the only way I’d do RV living – if I had enough room to bring ALL my knitting ephemera! I just love knitting & crocheting, weaving, etc. My day isn’t complete unless I’ve had some yarn time. Problem with that is I always want more time! Loved reading all of your comments! Yours in yarn! P.S. Wouldn’t a crosscountry RV trip, traveling to yarn stores be just GLORIOUS!?! That would be a short-lived retirement after I “oh just one more skein, Honey,” my way across the country! Loved the pictures as I laughed my way through them. From the comments I find I’m not alone. Thanks, my sister yarn buddies! Yes, I agree, thank you to all of you for commenting!! I couldn’t sleep and this has made my night! Hey, I’ve noticed that there aren’t any emojis for KNITTING!!?? Too bad…I like emogis and I wish there was one for Knitters. Lol! Big hugs to all the crazy, wonderful growers, spinners, dye masters and yarn artists…so many themes in the comments all around comfort, joy, contentment and skill…surely great things in a world that can be physically and emotionally challenging. As a 3rd generation crafter my stash is….quirky as well as extensive. Crafting gives links to the skills and patterns of the past as well as opening all sorts of surprising doors including connections to a great many talented and creative people (like those taking time to comment). And….one can never have too many woolly hats!!! You have said what I feel. I am totally immersed in the fibre world. I work full time in the knitting industry and yarn colours my life at home. My( big stash ) mum said of my big stash “it’s your retirement fund “. I am going to have to live a very long time to knit it all up! I save all my tiny scraps (1-2 inches) and cut longer to this size and in spring put them in little net bags and hang on trees in the garden and the birds use them to build nests. Oh what a great idea. I shall remember that. I’ve found my spiritual home lol! When my husband and I were flying from our home in VA to visit our son in CA, I was , of course, taking a knitting project for the plane flight. By the time I realized that I had packed my needles in my checked bag, it was to late to retrieve them. There I sat with my yarn in my ziplock, ready to knit while we waited for our plane, when I remembered that I also had two new click-to-retract sudoku pencils in my purse. Instant scarf needles! I got right down to knitting with my new “needles”. One lady also waiting for our plane was watching me for the longest time until she could no longer control herself. She finally approached me and asked, “Would you mind if I took a picture of you knitting with those needles? My mother would absolutely love it!” So she did! That scarf holds special memories for me. Sisters, I totally understand your language! Doesn’t knitting unite us all? Had a good laugh, too, reading your comments. I love knitting with natural fibres, despite the fact that they are expensive. Later on this year I will start my first ever double bed size afghan in 5 colours, after all the baby and toddler items and other requests are done.